The real world of Angels is very different from the world of Angels that people have created their imagination. 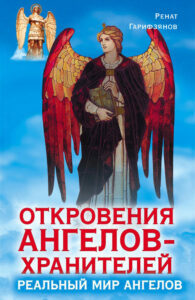 People think that Angels give happiness to those they like. I want to believe that in order to achieve complete harmony in life, it is enough to pray properly, and good uncles from Heaven will immediately send deliverance from all suffering. Добрый день! Ренат, Спасибо за эту книгу, лично для меня она прояснила очень многое.